Wingate Studio is pleased to present two color etchings by Ahmed Alsoudani. The first etching was created in 2008, and the second in 2012. Ahmed Alsoudani was born in Iraq in 1975, and is a New York City-based painter. He fled his childhood home in Baghdad during the first Gulf War when he was 20 and lived as a refugee in Syria until he was granted asylum by the US. His experiences as a child in war-torn Iraq, and his observations as an adult of the sociopolitical complexities of the atrocities occurring in his home country, are central to his work. Alsoudani embraces the pain and sense of displacement he has experienced as an Iraqi exile in the US as a way to further his understanding of his situation through his work. His surreal compositions are shocking, grotesque, and disturbing in their portrayals of the psychological and human casualties of war. His work has been compared to that of Francisco de Goya’s series of prints entitled Disasters of War, Pablo Picasso’s Guernica, Francis Bacon for its disturbing content, and Willem de Kooning stylistically. As is evident in Untitled, 2008, his palate is often vibrant, dominated by flesh tones and deep reds. Untitled, 2012 breaks from Alsoudani’s typical painterly imagery and vibrant, fleshy tonality to explore a detailed, cartoon-like form set against washy gestural brushstrokes. 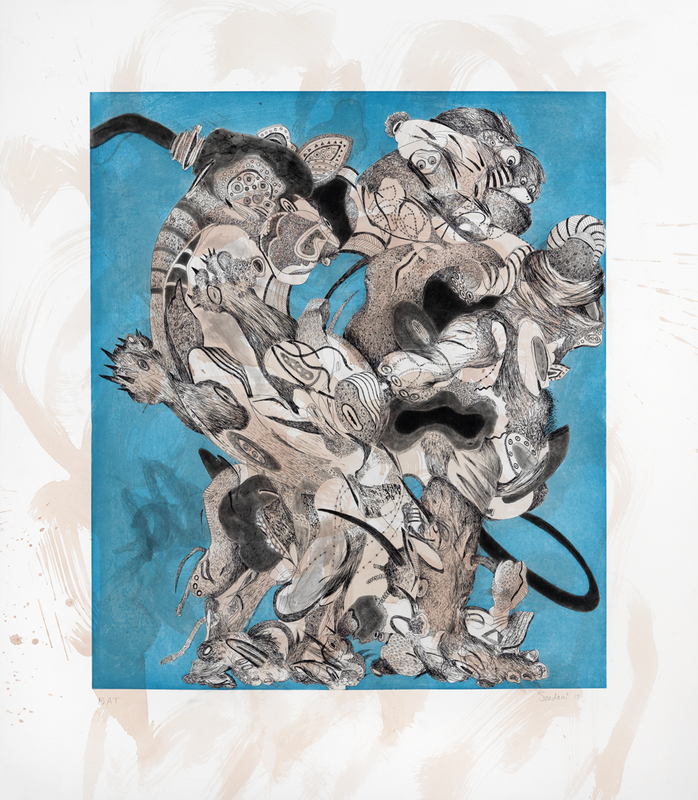 Each print in the 2012 edition is unique as the brushstrokes beneath the line etching are hand painted by the artist. Ahmed Alsoudani (b. 1975, Baghdad, Iraq) is an American-Iraqi painter whose work is born out of his experience growing up in war-torn Iraq. The geopolitical details of his biography are endemic to his work as he continues to process his experiences as a child in Iraq during the first Gulf War, a teen fleeing to the United States via Syria, and today exploring what it means to find a sense of home as a war refugee. Alsoudani has had recent shows at Marlborogh Contemporary (London, UK), Gladstone Gallery (New York, NY), Phoenix Art Museum (Phoenix, AZ), Wadsworth Atheneum (Hartford, CT), and L&M Art (Los Angeles, CA). In 2011 he was one of five artists representing Iraq in the Venice Biennale, the country’s first time hosting a pavilion in 35 years. 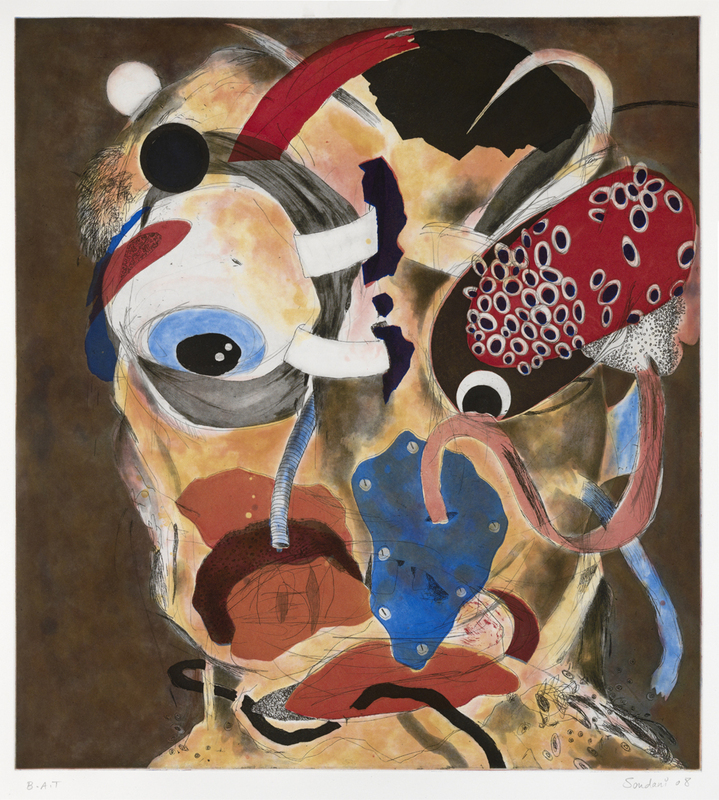 He is in the public collections of Saatchi Gallery, Columbus Museum of Art, Mead Museum, Bates College Museum of Art, Virginia Museum of Fine Art, Phoenix Museum of Art, Portland Museum of Art and others. 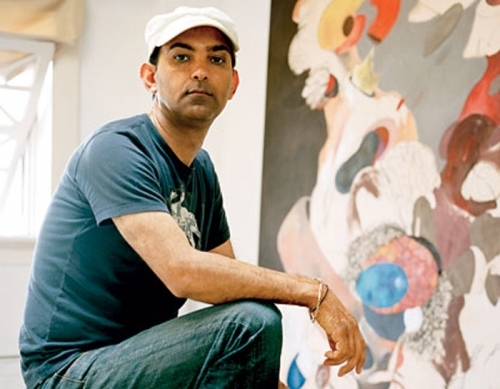 Alsoudani received his MFA in painting from Yale in 2008, and his BFA from the Maine College of Art in 2005. He lives and works in New York City, and is represented by Marlborough Contemporary.